National Institutional Ranking Framework or NIRF India Rankings 2019 has been announced. President of India Sh. Ramnath Kovind announced the NIRF Rankings for Indian educational institutes at Vigyan Bhawan, New Delhi yesterday. In its fourth year of Rankings, the NIRF 2019 has been released in 9 categories – Overall, Universities, Engineering, Colleges, Management, Pharmacy, Medical, Architecture, and Law. 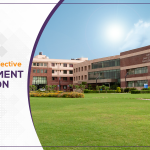 The parameters on which the NIRF 2019 are based are – Teaching, Learning and Resources, Research and Professional Practices, Graduation Outcomes, Outreach and Inclusivity, and Perception. According to officials, more than 4000 institutes had submitted their data for NIRF ranking this year including all IIM’s, IIT’s, autonomous institutes, government, and private universities. 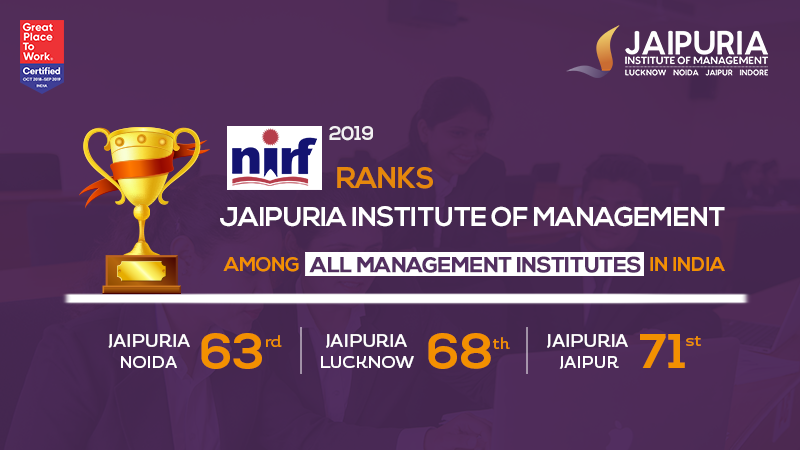 This year again Jaipuria campuses have performed very well and Jaipuria Insititute of Management Noida, Lucknow and Jaipur feature on the 63rd, 68th, and 71st position respectively in the Management Institutes category. 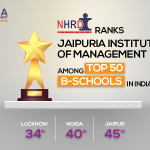 Jaipuria campuses performed better in the ‘Teaching, Learning & Resources’ and ‘Graduation Outcomes’ section. These two form the core of any educational institution. “These rankings reinforce that we are working in the right direction as we keep the student in the center while designing our curriculum, pedagogy and learning outcomes,” said Dr. Kavita Pathak, Director, Jaipuria Lucknow. “Recently, Jaipuria Institute of Management has also been certified as a ‘Great Place to Work’ by the Great Place to Work Institute. This again is a testimonial of our focus on our Faculty Members, who are the most important pillar in an educational institution.” Said Dr. DN Pandey, Director, Jaipuria Noida. “We aim to get into the top 50 list and the triple crown of international assessments, in the next few years,” said Dr. Prabhat Pankaj, Director, Jaipuria Jaipur. Jaipuria Institute of Management, Lucknow, Noida, Jaipur and Indore offer AICTE Approved, NBA Accredited and MBA Equivalent (by AIU) programs. 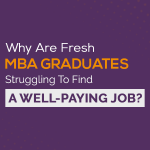 Why Are Fresh MBA Graduates Struggling To Find A Well-Paying Job?